Friendly vibes at Fukuoka's famous food stalls. One of Fukuoka‘s pride and joys, the yatai stalls that line the streets of the city are ideal for those who seek camaraderie; the atmosphere is warm, with amicable chefs and friendly faces looking to grab a quick bite on their way home from work or a night out. Basically open-air food stands, most only have room for around seven people – meaning you’re guaranteed to make friends. Dating all the way back to the Meiji Period, when the stalls were all but tiny little wooden carts built out of wood, yatai have fallen out of popularity elsewhere in Japan due to emerging health concerns and the government’s regulation of them in preparation for the 1964 Tokyo Olympics. Thankfully, their presence in Fukuoka is still known, and with their booming popularity, it’s unlikely they’ll go away anytime soon. 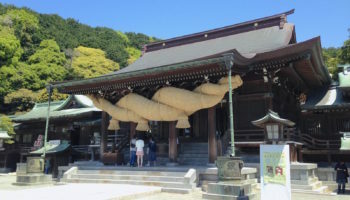 In fact, the culture of yatai is so sacred to Fukuoka locals that when the operator of a stall decides to retire, it must be consigned to a direct relative. 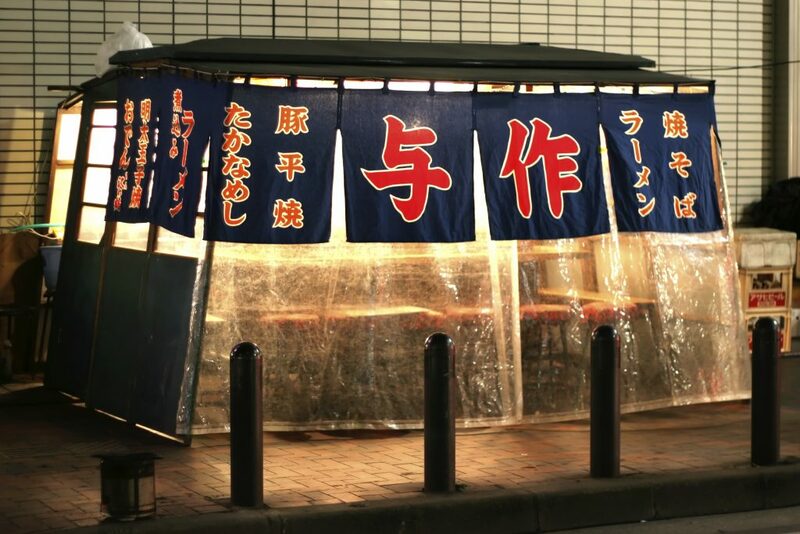 Otherwise, as per a 1994 law, the yatai will be closed down for good. 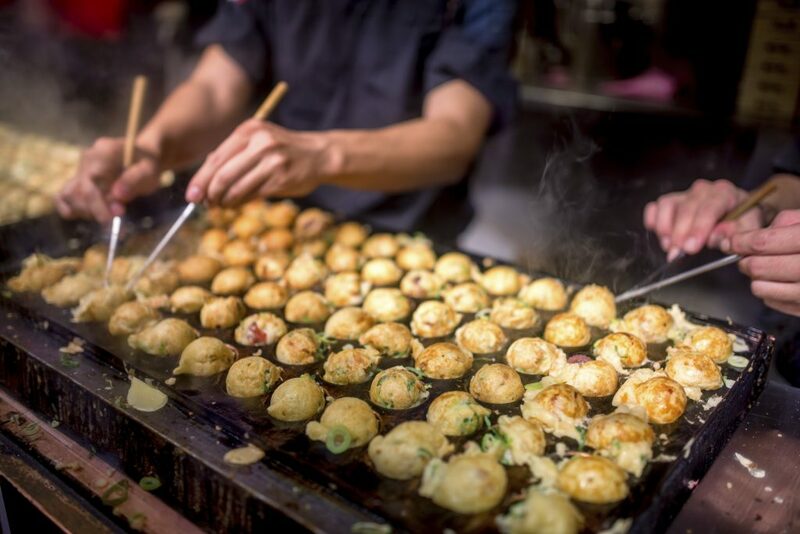 Try some takoyaki (octupus pancake balls) at a yatai. 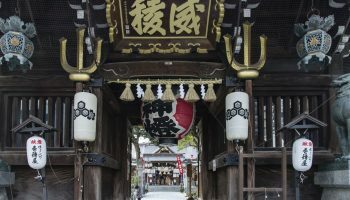 Here you can enjoy the more traditional Japanese street foods, such as freshly made takoyaki (ball-shaped pancakes stuffed with octopus), golden-glazed gyoza (meat and vegetable dumplings), smoky skewers of grilled chicken, and simmering bowls of oden (kind of like a vegetable soup) with fresh mustard on the side. Or, maybe it’s time to familiarize yourself with the local gastronomical culture that Fukuoka is so well known for – by slurping up piping hot bowls of tonkotsu ramen and dabbling in dishes where mentaiko (marinated roe) is the star ingredient. Whatever yatai you choose, you’re guaranteed an experience that is unique to that particular stall. While hours may vary between stalls, they are generally open from 6pm to 2am unless there’s bad weather. Many of them will be closed at least one day of the week, so make sure to confirm with your favourite food stalls what their hours of operation are like. For the popular stalls, queues are almost always guaranteed on a Thursday, Friday and Saturday. 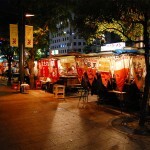 Fukuoka’s yatai are open year-round. The yatai stalls are scattered throughout the city, but there’s a large concentration of them on Nakasu Island, where about 20 or so of them line the river. 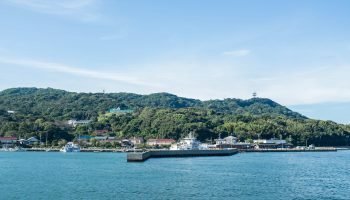 The island is particularly atmospheric during the summer nights and a fantastic place to feel the friendly Fukuoka vibes. Yatai is one of the treats of Fukuoka. 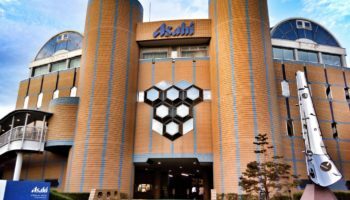 The chance to watch the city’s people walk by, eat some of the most delicious street food in Japan, and experience the unique atmosphere is something you should not miss. 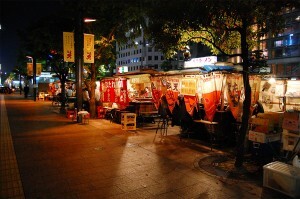 Most of the yatai are located in the Tenjin and Nakasu areas; they’re all easily accessible by foot. Hours and days of operation vary between stalls. They might not be written on the menus, so you may have to ask the stall keeper themselves.